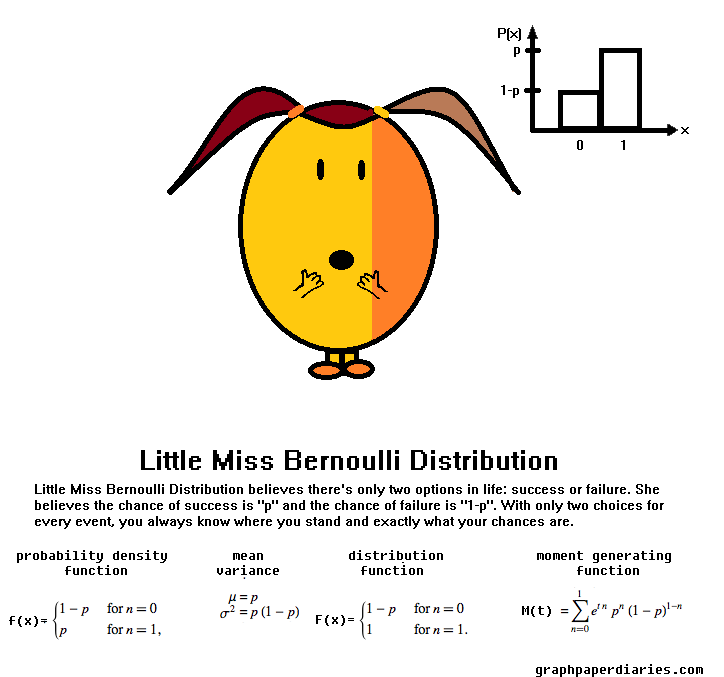 Bernoulli Distributions are for single events that can either succeed or fail….think a coin flip. By themselves they don’t describe much, but are the basis of many more complicated distributions. This will likely not be of interest to anyone who hasn’t taken a probability theory class, but I’ve been a little obsessive about probability distributions and how they relate to each other. This is my way of dealing with that. 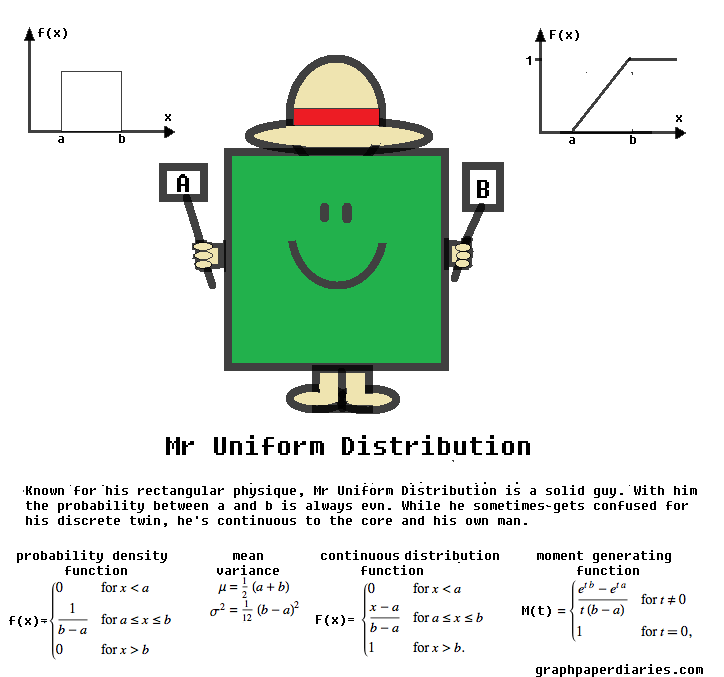 Meet Mr Uniform Distribution, the continuous one that is. A continuous uniform probability distribution is one that has a continuous probability for all points from “a” to “b”. You can learn the technical piece here or the Wikipedia version here, but I’m mostly focused on what he would look like as a cartoon character.